Chuuwee‘s back with new music, and that’s always a good thing when it comes to Hip Hop music. 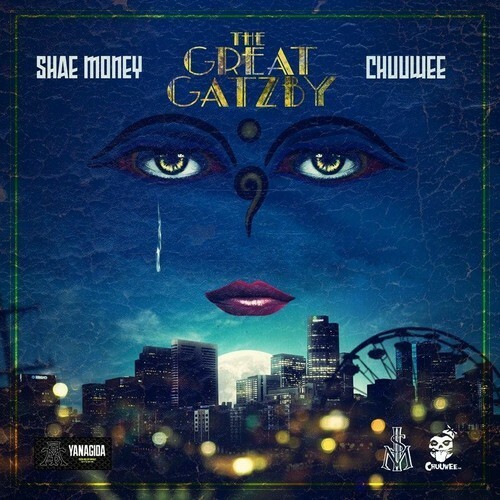 Still underrated, but steady gaining respect around and about, Chez teams up with Rapper/Producer out of Denver, Shae Money, for this long awaited collaboration. If you’ve paid attention to his music, on West Francia from Crown Me King, he says that his new name is Chuubert Gatzby, and thus The Great GatZby comes to fruition. His last few projects, including the Wildstyle duo (Side A & B Side) emulated more funky and retro sounds, whereas this project holds true to some of the beats that made me a fan of his to begin with, going back to his Hot N Ready & Watching The Throne projects. When he went off on a tangent to try different styles, they definitely weren’t his best (ThriLL is dope though), but trying out different things to get a particular sound out is what he thrives on, and has made that known from the start. He’s still one of the better rappers that I’ve come across in the past couple of years, and you can start to feel a little bit of rise of buzz happening. I just hope that it carries through, because it’s well deserved. Head over to DJ Booth for the download & stream, and most importantly – Enjoy.